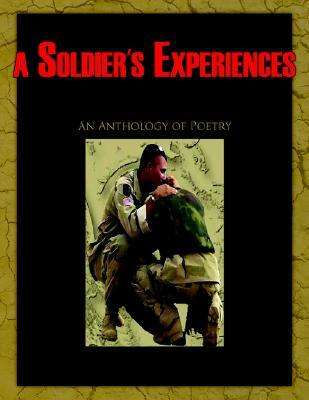 What is A Bird's eye view of a soldier's experiences in Iraq; An Anthology of Poetry is about? Daily in Iraq there is a notice of something happening around the country. If it was not a compound getting mortared it was someone getting IEDed, Improvised Explosive Deviced. With each occurrence either seen or heard, you just knew someone was hurt or worse. Likewise when soldiers went on patrols and raids you could listen to the FM net or read the Task Force SIGACTS, Significant Activities, and know someone got hit while out on a mission. Each day brought about a sense of urgency to learn what was happening. It was with this urgency that I started to capture the events that took place. It was a matter of taking pictures and giving voice to them in words but not in an anecdotal fashion but an interpretative creative fashion. It was the faces of children that had hope for tomorrow that one day they wouldn't have to be afraid to walk down a street. It was the faces and actions of courageous soldiers demonstrating selfless service to help others live a better life. Daily it was a matter of seeing Stryker vehicles rolling out the gate going to meet the enemy knowing the risk but they were there out front ready to do what was necessary. It was the convoys that were escorted by MPs, Military Polices, with our soldiers sitting in the turrets searching either side until they got safely in the wire. These were the images and visuals that caught my attention and demanded something be said. Just wearing the same uniform as the soldiers around me was proud enough. But it was more than that. If mortars started falling on the compound and everyone started to run, soldiers would look out for others around them and then roving patrols would come searching every bunker to see if anyone was hurt or injured. This book is about bravery, freedom, renewed hope and even in the midst of chaotic mayhem, there is beauty. Each poetic verse references either a picture present or one that was seen that took on a voice to speak.